3D – Is It Really The Future Of Video Games? At first, I thought 3D was definitely cool, and wanted to see more. I remember getting those silly paper red and blue lensed plastic glasses and thinking “Wow, this is awesome!” Now that I’m older, I’m just not so sure that it’s “awesome” anymore. It might just be the price, I mean an extra $4-5 to see a movie in 3D as opposed to the normal version, or a $1,000 T.V. with 3D capability, or even the price point for nice 3D glasses being between $40-60 for one pair. Maybe it’s the fact that I don’t really like having something uncomfortable on my face with trying to play a game or watch a movie. That may all seem logical, but maybe it’s something not-so-logical. Maybe I’m just resistant to change – although I never thought that to be a quality I posses previously. There are already games being released with the ability to be played in 3D, such as Batman: Arkham City, Crysis 2, and Killzone 3. I don’t have a 3D capable T.V. so I haven’t had the chance to play a game in 3D but to be honest, and getting down to the point of this article, I have never really wanted to. I feel as if this 3D gaming phenomenon may be a gimmick and a fad, and I don’t feel right about investing in it just yet. There are currently a few outspoken developers and game producers out there who feel the same, and hope 3D gaming never fully takes off. Bethesda lead designer Emil Pagliarulo said “I f****** hate 3D, I think it’s a gimmick and I hope it dies” at QuakeCon in 2010. He’s not the only one who shares that sentiment, but there are also a lot of people embracing 3D gaming and seeing it as the future of video games. 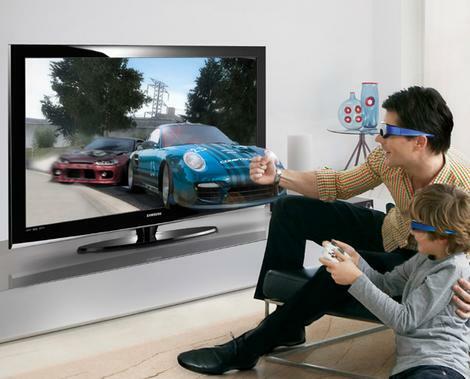 Sony and Nintendo see 3D gaming as an enhanced form of gaming and embrace the idea. Nintendo released the first 3D capable handheld system that didn’t require glasses – the 3DS. 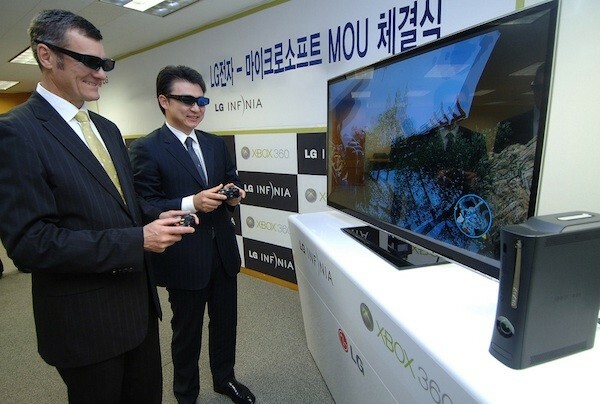 But it looks like handhelds are not the only thing turning heads with 3D. Quite a few game companies are actively working on bringing 3D to every genre of gaming, from fighting games to first person shooters and everything in between. My main question is this: Will this 3D fad die out like HD dvd’s or thrive into the future like Blu Ray? It could go either way, I mean Blu Ray players and movies were ridiculously expensive when they first started surfacing. Maybe that’s the phase 3D is in right now. The T.V. prices may drop down to normal one day, or the glasses may become supremely cheap. On the flip side, it may all just be a hit now that will become obsolete later on down the road. There is no way to tell what the future holds for us, so we will just have to wait and see. Until then, I refuse to get my hopes up for something I’m not even sure I like. Hopefully if it does become the next generation of gaming, I will be able to jump on board and embrace it. Only time will tell. I don’t really care for 3D either. I think it provides very little in terms of a new experience while requiring literally four times the amount of development from a game designer to create interactive elements on a three dimensional plane. Motion control is a similar problem in that it is fun in some instances but really just creates more usability problems than it solves. There’s nothing wrong with the traditional idea of a tangible controller. I think a lot of these trends really stem from companies understanding how much money is made via hardware. The console market is over saturated so they always branch off into peripherals. This has been the trend for quite a long time. In any case, I have no desire for either. There’s still many things that we can evolve graphically and in the form of artificial intelligence that will greater benefit game design as a whole before any of these other superfluous peripherals become adequate. Well said, I agree 100%! And it gives me a headache and makes my eyes hurt lol. Video games are suppose to be simple and fun. That is why people play them. All of the gimmicks and 3D stuff is just stupid! I hate gimmicky crap, and 3D is at the top of my gimmicky crap list. It has added nothing to my movie-going experience (except for a slight glare and a bigger ticket price), and I’m not at all interested in it becoming part of gaming. It’s not like they’re making stuff pop off the screen at you, it just adds some depth, and I’ve never said “I wish my screen looked more like a diorama.” As for the 3DS, I’ve never used it, but I have tried other glasses-free 3D setups and they have all made me nauseous immediately. Unfortunately, people are dumb, and gimmicks work. 3D is here to stay. I concur, I’m just not into 3D, and I don’t plan on ever getting into it. 3D is wasted on me no interest in it what so ever, most of the people I know that have seen a 3d movie or played a 3d game have headaches after watching them? 1 years prescription of headache pain killers free with every 3d TV ! Haha they may as well add that in, the headaches are very common!